We like it when our guests like our house. These very loyal guests (twice in a year, currently planning their third visit!) 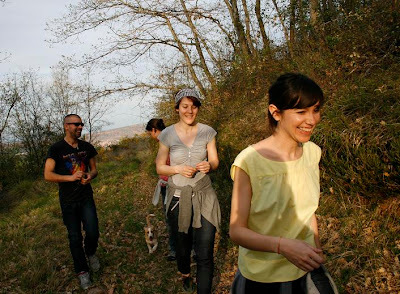 are an indefatigable group of hikers from Castilla. They travel along with a geologist and some geography teachers who rave about the natural wealth of the area: "it is hard to find so much variety in so little space: seven valleys one after the other mean seven different worlds, from rock glaciers to the fertile plains of Ebro....". They sent us this picture of their last ascension to Trevijano, near Casa Josephine. 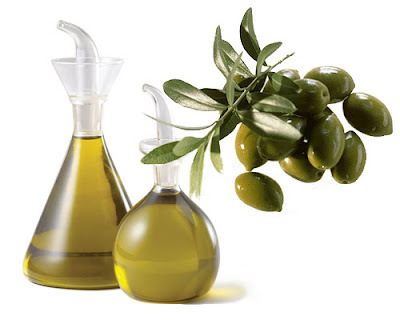 Scoop for gourmets: Rioja Olive Oil. When you drive across Rioja region you will spot, here and there, some (not very many) olive trees. Knowing that the soil in this area is so unbelieavably fertile, one may start to think that the production of Rioja olive oil must be something, to say the least, noteworthy. If you stop the car to examine the olives, you will see some interesting varieties: Arbequina, Hojiblanca and Redondilla (indigenous from Rioja). When you learn a bit more about Rioja Olive Oil, you will find out that the production is very small and that it is strictly controlled by the "Denominación de Origen Protegida" commitee. 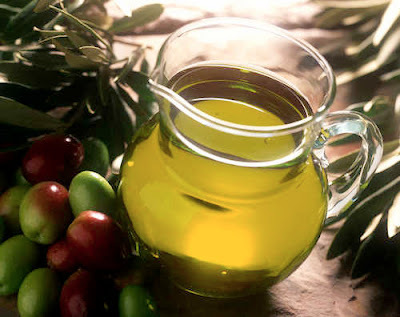 And we mean strictly: they guarantee that the olive oil is Bio, non-transgenic, locally produced out of local olives...They even check that the soil is chemical-free for three years before the first olives are picked! Wanting badly to dip a good piece of bread in Rioja Olive Oil? Well, here's the catch: less than half of the small production is sold outside Rioja; two thirds out of that can be found in very selected delicatessen shops and restaurants around Spain. The remaining bottles go to a few exporters. Likelihood of finding Rioja Olive Oil abroad is.....almost zero. Which gives you another reason to come visit us as soon as possible! Summer is here. So is gazpacho! Gwyneth Paltrow will be soon on PBS TV telling the world that Spanish Cuisine is divine. She has been cruising Spain in a convertible with chef Mario Batali for a series of documentaries that are called "Spain....on the road again", to be broadcast this fall. Don't wait for them to tell you how to prepare gazpacho, Spain's cold soup por excelencia. There is nothing better in the summertime. *note: Casa Josephine's gazpacho includes also half a red sweet pepper. **second note: some heathens have been reported to use Tabasco sauce for their gazpacho. Well, may the Inquisition chase them! Chop roughly the ingredients except the olive, vinegar and salt, and then mix everything in the blender. Pass the gazpacho it through a sieve and season it to your taste. Chill thoroughly for some hours before serving it. Club VinoSelección publishes VS Magazine, a trendy Bible about lifestyle, food, travels and -surprise- wine. 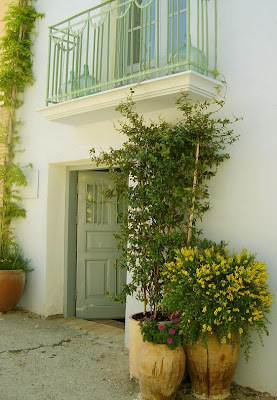 They recently recommended Casa Josephine for its location if you plan to visit Rioja. We are duly grateful, VS! Gracias. Most of our guests ask us for advice on wineries when planning their stay in Casa Josephine, so we decided to post a list of our Top-Ten favorite wineries in Rioja region. All these wineries are very near our house (from 10 to 45 minutes driving). They have been carefully selected for their artistic value, for the quality of their wine and for their attention to visitors. Hours have been spent preparing this list, and much (much, oh much) wine has been tasted while pondering. 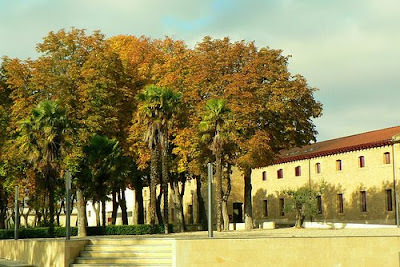 1- Bodega López de Heredia. There are easily twenty wineries in or around Haro that are worth a visit. 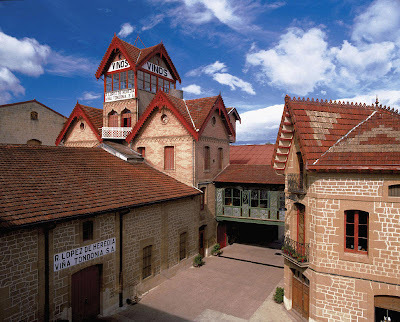 Bodega López de Heredia stands out for the beauty of its buildings, for its history and -goes without saying- for its wine. Founded in the last decades of the 19th century, it is still in the hands of the same family, the descendants of tycoon Mr. López de Heredia, a self-made man who started the construction of his empire in 1877. He was involved in the design of the winery from the very beginning, and he contributed with his own ideas to the construction of a truly remarkable building that was meant to be alive and open to the new trends in architecture. In the beginning of the 21st century, María José López de Heredia was browsing through his great-grandfather's old papers when she decided that the winery needed a decent shop. So she sent an e-mail to Zaha Hadid and ask her if she would do it. You know the rest. Architect Zaha Hadid, designed the decanter-like structure for the winery and won Priztker Prize straight away. It was her first work in Spain. This visit is one of the ten musts when you are in Rioja. 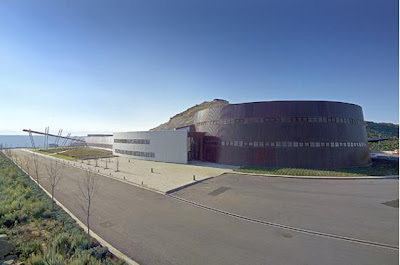 If you like modern architecture, you must visit Bodega Juan Alcorta, in the outskirts of Logroño. You must. You simply must. 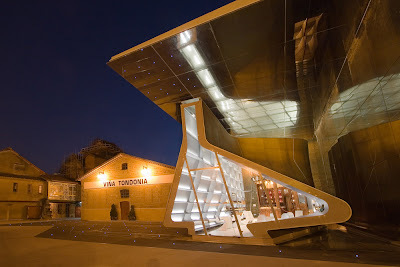 Designed just a few years ago by Ignacio Quemada, this bodega is built on a hill that overlooks river Ebro. 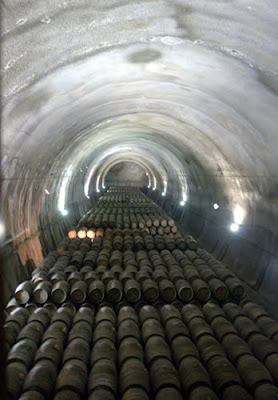 Most of the winery is built underground, literally merging into nature. 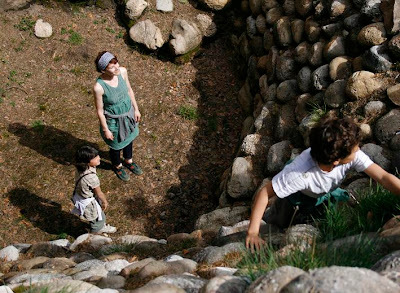 You will go downstairs into a modern, high-tech, wonderful building of subtle austere beauty. Little can be said from this point on. This is modern architecture at its best -at its most refined, most intellectual, most elegant. When you are driving along the breathtaking road A-124 and enjoying the gorgeous views over Ebro valley, a protruding big glass cube will catch your eye. 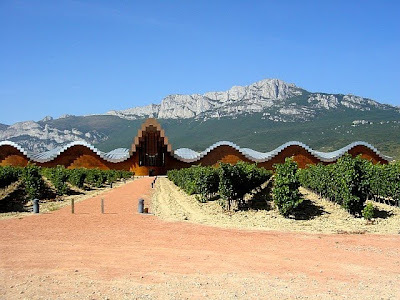 This is Bodegas Baigorri, by architect Iñaki Aspiazu. The building won the Best of Wine Tourism Award in 2006. The process of wine-making here is different to anything you may know: winery owners have questioned most of the current elaborating systems and machinery, and bet on the use of simple gravity instead of pumps and funnels, so as not to damage the grape. Sounds simple and sensible, doesn't it? Try their top "vino de garaje" (Tempranillo grape from their oldest vines) and judge for yourself if vino Baigorri is up to the challenge. It is often said that wineries are the new cathedrals. However, in front of the stern geometry of this building, one is rather reminded of an Egyptian temple -version 2.0. 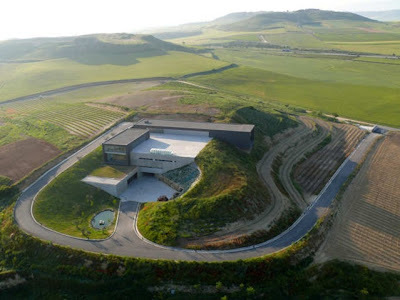 Half-buried on top of a sandy hill just off Haro, this bodega was designed by architects Javier Arizcuren and Miguel Alonso, who were awarded with Technal prize for their exacting work. The building would be worth a visit even if empty. But, let's not forget, this is a winery. 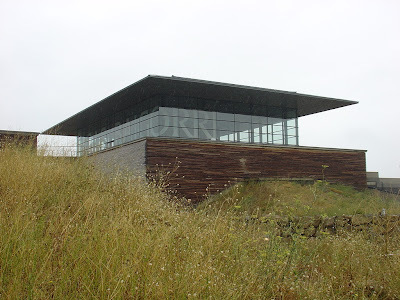 A modern great winery. An avant-garde winery where technology is used to treat the grape with utmost care. If this is what the future will be like, let's drink to it! 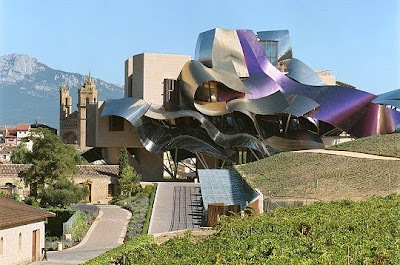 Everybody knows the story by now: Owner of winery Marqués de Riscal wanted a "Guggenheim effect" in the small village of Elciego. So they invited Frank Gehry for a visit to their winery and tried to talk him into building a hotel for them. He was -rumor has it- not very tempted to design something that looked too "Guggenheim-like". So he said he would think it over. "Oh, by the way, Mr. Gehry", said the winery owner, "since you were born in 1929, we happen to have some bottles from that vintage, that, by the way, happens to be quite good...". So they drank together to the future building. Frank Gehry designed only the hotel. 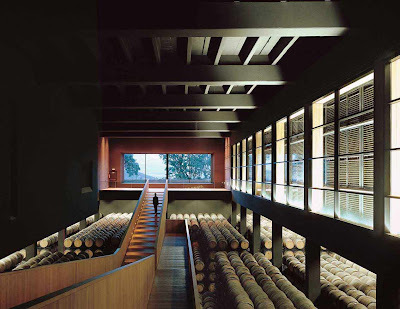 The visit to winery Marqués de Riscal focuses exclusively in the 19th century buildings and the cellars, which are spectacular. But visitors are only allowed to view Gehry's work from a distance -unless you have lunch or dinner in the marvelous hotel restaurant! The view from the balcony of Samaniego Park, in Laguardia, which was already breathtaking, has been enhanced with the construction of Bodega Ysios at the foot of Cantabria mountains. This building needs to be seen from the distance to fully understand what Calatrava means when he says that this winery's roof echoes the shape of the sierra above. For this building is, indeed, one half of a conversation -the landscape being the other. Brilliant clear idea, isn't it? Calatrava kept it simple and efficient here, and he won. For an architect to whom less is never too less, this is, at least, lesser. Just 10 minutes away from Casa Josephine, Finca Valpiedra is the place we drive to when we run out of reserva. 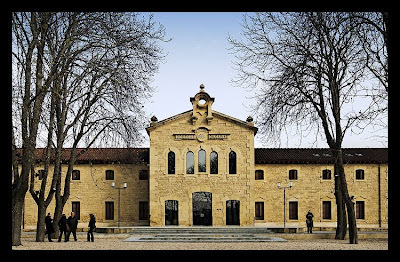 This winery is a modern neo-château built in the heart of a wide estate on the left bank of river Ebro. 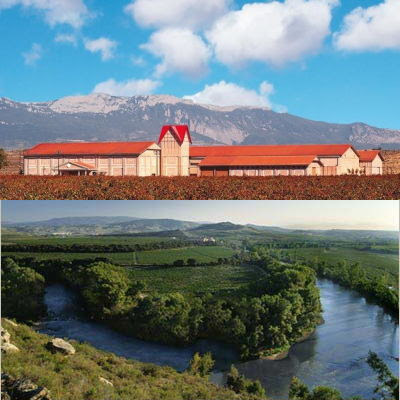 They produce only two wines per year: their outstanding Finca Valpiedra Reserva and a younger 100% Tempranillo. When you drink their wines in their tasting room, looking down at the vines that grow by the water, you will understand that they do not need to bother producing anything else. CVNE wines have always been at our table, and for a good reason: they have constantly good for the past 130 years. The history of CVNE is the history of how technology has been used for the sole aim here: to make and sell wine. They are serious workers and they do not waste time. They are unpretentious. They are so focused on their task that they seem not to care much about the splendid late 19th architecture around - including, by the way, a building by Gustave Eiffel! Visit CVNE to learn how to make your business live up to its standards vintage after vintage. The fantastic visit to this winery takes you from the vine (literally) to the bottle. It also takes you back in time, to the origin of modern -19th century- Rioja wine making, when phylloxera devastated the vineyards in Bordeaux and French producers had to look for new non-infected soil. You know the story: French producers were buying Rioja and selling it as French wine. It took time for the Riojanos to wake up and start producing their own, but they eventually -after some years of seeing the trains off with silly a silly smile- managed to do it. Philippe Mazières used steel, wood and stone for this outstanding futuristic building, which was awarded in Expobois even before it was finished. 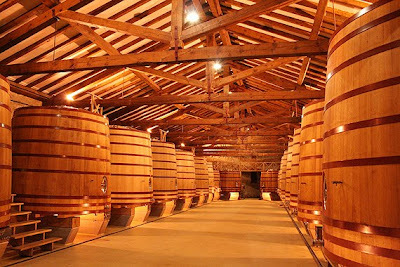 Its structural "gem" is the huge barrel-like massive building for storing the wine. Viña Real is behind a hill on a small road between Logroño and Laguardia, so you might miss it (and it would be a pity) unless you specifically drive there. Viña Real is part of CVNE group. German illustrator (and beloved friend) Silja Goetz chose Casa Josephine to celebrate her birthday last April. She treated eight guests to a most delightful weekend of food, wine, conversation around the table and walks in the countryside. 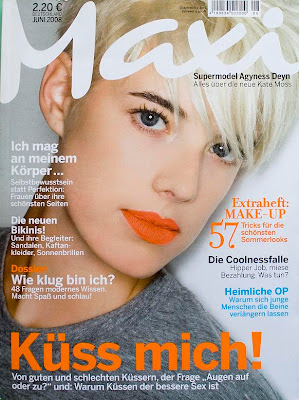 Silja Goetz is a worldly known illustrator whose work is featured in magazines such as The New Yorker, Vogue, Culture and Travel, Marie-Claire, Poetry, etc. 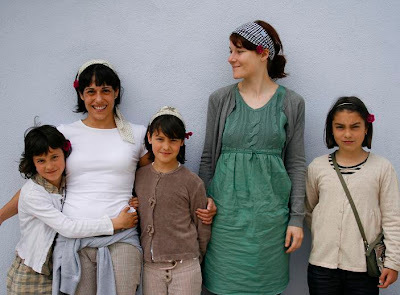 (In the picture, Silja -in green- and María Ángeles mingle with the young locals). DownTown Magazine publishes an article with their selection of "secret getaways". If you need to escape from the madding crowd, our doors are is open for you. We like to keep our guests busy, and we are determined to make the world a better greener place, so we came up with a new idea (starting october 2008) : if you are travelling with children to our house.....let them plant a tree! Just tell us when you book with us and we will get everything ready for your kids to get their hands dirty: we will bring a young tree for them, we will chose a good spot and we will help them plant it. How about a picnic al aire libre afterwards? This book is "a love letter to Spain", and the author's literary tribute to Spain and to Spanish wines. 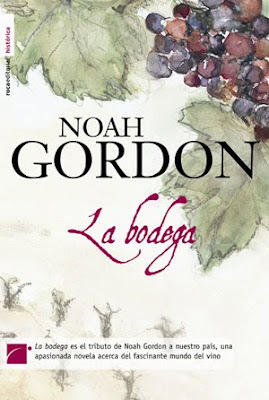 Set in the 19th century, when the plague of phylloxera was devastating the vineyards of Catalonia and Rioja, this best-seller will provide entertainment for wine lovers, Spain lovers and love-stories lovers. A page-turner to read with a glass of good Spanish wine -how else? 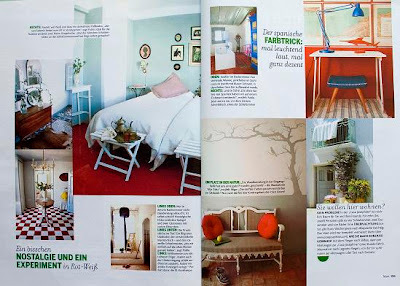 This time it is a German magazine, Maxi, that set its eyes on our house. 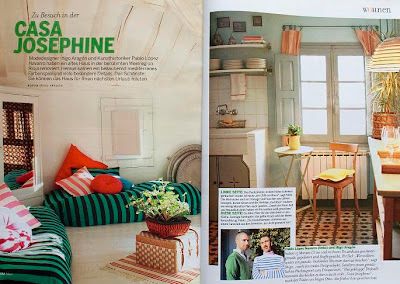 June issue features a four-pages article about the décor of our house, praising its cozy elegant atmosphere, its Mediterranean feel, the smart mixture of vintage furniture with modern pieces, the stylish color combinations, etc. 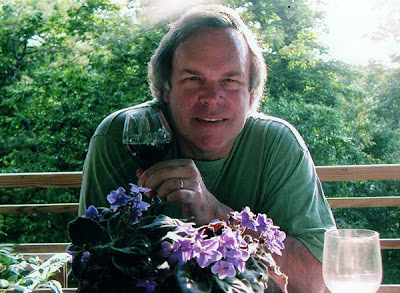 Again, Rioja wine tops "the list" -yes, Robert Parker's. After the mythical result of 2007, with five perfect -100 points- Spanish wines (two Rioja), 2008 is equally great for our region: Vino Contador 2005 (Bodegas Benjamín Romeo, San Vicente de la Sonsierra) gets a 100 again. And there are dozens -dozens- of Rioja wines between 90 and 100, as vintages 2004 and 2005 were excellent. 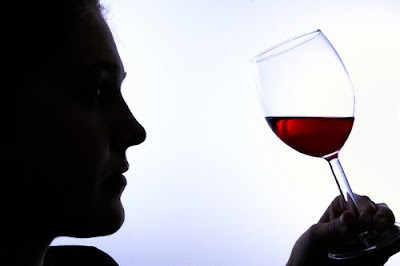 Some may argue that it is impossible to give exact marks to the richness of emotions contained in a glass of wine....and indeed it is. 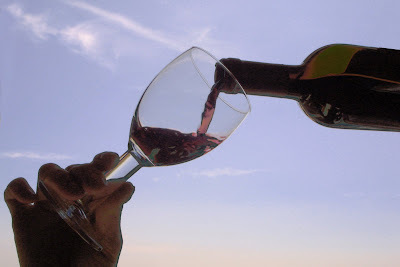 So pick the tinto you like best and join us in a toast for the great health of Rioja wine! Good news: Brian Murdock has published the book we needed: it is called "Let's open a bottle: my journey through the Spanish Wine Revolution" and it the best introduction, so far, to the fascinating and complex world of wine and wineries in current Spain. With the structure of a personal travel diary through Spain, this book covers -with humor, wit and very accurate data- all the information you will need to know about the different wine regions in Spain: Ribera del Duero, Priorat, Jerez....and, on top of them all, the indisputable king: Rioja. But beware: after this read, you will desperately want to uncork your next bottle of vino IN Spain!